You meet a complete stranger, who to the best of your knowledge you have never met before. You are inexplicably attracted to said stranger, as if drawn to him or her by some mysterious, preexisting bond that seems to have always been there. You feel at first meeting, that you have to have him or her as a constant companion for the rest of your life, and this conviction persists as an overwhelming compulsion against all odds. See? Simple, isn’t it? With these concise conditions in mind, you can now skip all of the “Twelve Ways You Can Tell If You’re Twin Flames” articles you’ve been stockpiling to read. This is what happened to Twinklebear and me. We fulfill all three parameters of twin flameship and let me tell you, it has been a wild and wonderful ride! The famous “Cyclone” roller coaster at Coney Island has nothin’ on the twin flame ride. The soars and dips of the twin flame relationship, are gut-wrenchingly stomach dropping, and euphorically exhilirating at the same time. Distilled down to its most basic level, Twinklebear and I feel that we cannot live without the other. The thought of even one day without contact with the other, is excruciating. It always boggles my mind, how very simplistic this sounds. “We cannot live without each other.” Yet, imagine the very real panic either of us experiences, when we haven’t heard from the other, a few hours later than expected—never mind a day or two. When I am with Twinklebear, I feel like I am ensconced in the safest home sanctuary, where I can totally be myself. I can say unequivocally, that with everyone else I’ve known or know in my life, there is a certain degree of “holding back,” a natural self-serving secrecy that does not exist with Twinklebear and me. Twinklebear is as necessary to me, as a physical part of myself. That makes sense, since one’s twin flame is supposed to be a true reflection of oneself. When one looks at one’s twin flame, it is like seeing a mirror image of oneself. When I speak to Twinklebear, it is like talking to myself at times. On the most basic of levels, what we say resonates with the other, as if one is merely repeating what the other is thinking. My interaction with Twinklebear, has the familiarity that I have with myself. Given this, it is no surprise that synchronicity of thought is a common occurrence with twin flames. Twinklebear and I frequently will speak what the other is thinking at that exact same time. This will elicit a “Wow, I was just thinking that when you said that!” exclamation, when it happens. Because my interaction with Twinklebear has the same feeling of familiarity that I have with myself, I have no inhibitions when it comes to talking to her. I can tell her the most intimate things, and be as uninhibited with her, as I am with myself, when I am alone. Being twin flames is taking free-spiritness to the nth degree. When are people the most free spirited? When they are alone, because it is only then that they are free from the constraints, opinions and influence of others. When two people are true twin flames, this is the feeling they have with each other. 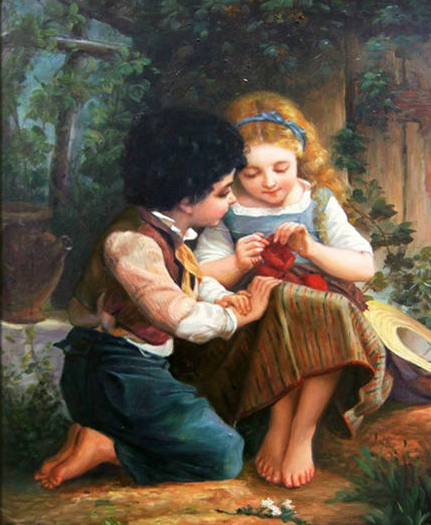 And, one particular advantage of being twin flames is, one can revert to our most innocent child-like behaviors. This is especially true of us because we are the “babies of the family.” Isn’t the stereotype of the baby of the family, a “spoiled brat?” Ha! Waaaaa! I need my Twinklbear! And I need her every day! Ahh, thank you my sookybear. Such truisms, in your words. We are so ” free ” and have no inhibitions, when together. I love how we are. By the way , it’s * Twinkkebear and I” ha! Bad boy! Donk! That is how as a ” Brit” I would say it, or write it. We love , how each others language is the same, yet so different. ( I speak properly you do not) ha! Running!